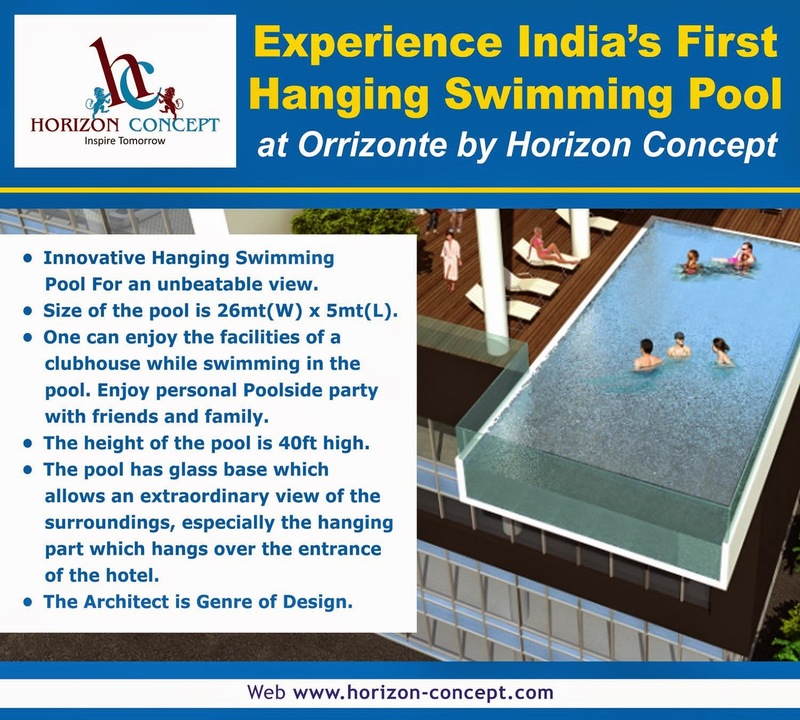 Innovative Hanging Swimming Pool For an unbeatable view. The pool has glass base of the pool allows an extraordinary view of the surroundings, especially the hanging part which hangs over the entrance of the hotel. Suninder Sandha, Director Horizon Concept Pvt. Ltd.